プロジェクトさいさいへい　－まるごと埼玉最終兵器－　All About S.S.H. Unseen factors that will decide your advantages and disadvantages in battle. Each character has hidden paramaters that are not displayed on-screen. Let us look at what they comprise and their influences. 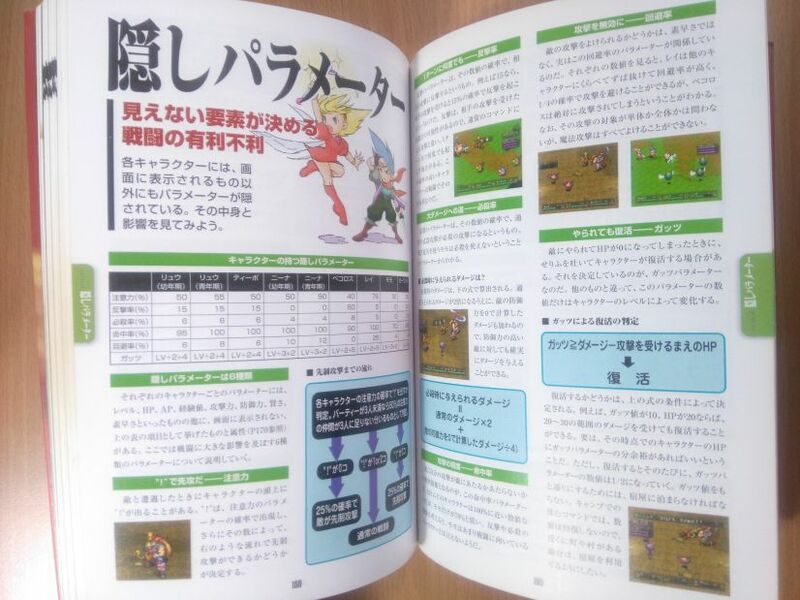 Each character has parameters as shown on the screen and these are Level, HP, AP, Experience Points, Attack Power, Defence, Intelligence and Speed. The paramters that are not displayed on the screen are the ones cited above as well as Element. Here we will explain the 6 hidden parameters that will have a significant influence in battle. When you encounter an enemy, "!" marks may apply on top of the characters' heads. The characters' Attentiveness parameter will determine the chance of the "!" marks appearing and how many appear. Whether or not you get a preemptive attack will depend on the number of "!" marks (refer to the chart). Each character's Attentiveness value will determine whether the "!" marks appear. No "!" → 25% chance of a preemptive attack by the enemy. 3 "1" → 25% chance of a preemptive attack by the party. The counterattack parameter figure is the rate at which a character will counterattack an enemy's attack. For example, if it is 15, then that means there is a 15% chance of a counterattack. There is an opportunity for a counterattack in response to each enemy attack so it is possible to make multiple attacks per turn in addition to the normal command attack. Characters with high counterattack rates will prove to be quite useful in battle. The critical parameter figure is the rate at which a normal attack will become a critical hit. Take note that Momo who uses missiles cannot perform critical hits. How much damage will be dealt with a Critical? The damage of a critical hit is calculated from the formula below. In addition to a normal attack damage being doubled, there will be an added effect of the enemy's defence being reduced to 0. With this, a character can reliably deal damage to even high defence enemies. Damage dealt by a critical hit. Whether a character will hit or not hit the enemy will be determined by this accuracy parameter. Most of the characters will have a number close to 100% but only Momo will have a low one with 70%. Considering Momo's counterattack and critical hit qualities, it cannot be said that she can hold her ground in battle very well. Whether or not you can avoid an enemy's attack is not determined by speed. It is actually related to this Evasion parameter. Looking at the Evasion values, Rei towers over the other characters, with a 1/4 chance of evading enemy attacks. However, Pecoros has no choice but to receive each and every attack. Also, whether the target of any enemy attack is single or multiple has no bearing on Evasion but no magic attacks can be avoided. When a character is defeated by the enemy, and end up with 0 HP, there may be occasions of him/her at this point, coughing up a message, and being revived. Whether this happens is determined by the Guts parameter. In contrast to other parameters, only the value of Guts will change in accordance to a character's level. Determination of a revival from Guts. Guts ≥ Negative HP after receiving damage. Whether a character revives will depend on the above condition. For example, if we assume that the Guts value is 10 and HP is 20, then the character can survive an attack with a damage range of 20~30. Basically, as long as you leave yourself some leeway in regards to the relationship between Guts and HP, you should be okay. However, each time a revival occurs, the character's Gut value will halve. To return Guts to its original value, you must stay at an inn. Using the Rest command at Camp will not work, so if there is a town or city nearby, make use of an inn. Source: Capcom/Famitsu/Aspect (1997, December). 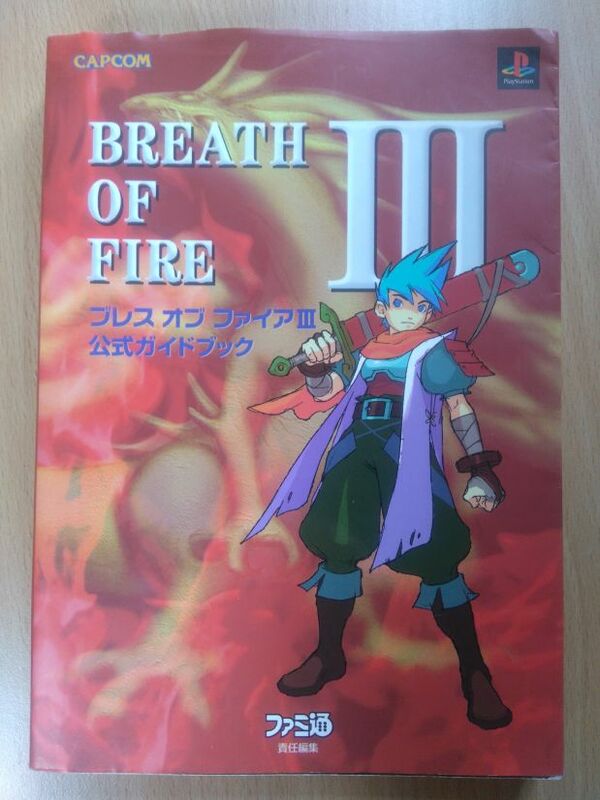 "Breath of Fire III Official Guide Book".